Continuing Professional Education (CPE) is a requirement for Certified Public Accountants (CPAs), one that is designed to help maintain their competency and skill sets as providers of professional servicesAccountingOur Accounting guides and resources are designed as self-study guides to learn accounting and finance at your own pace. Browse hundreds of articles on important topics such as the income statement, balance sheet, cash flow statement, depreciation methods, how to link the 3 statements, debits & credits, journal entries. As part of ongoing requirements to maintain the CPA designation, CPAs must meet all the regulations set out by the state they are registered in. CPAs must complete at least 120 hours of CPE for each three-year reporting period, according to the American Institute of CPAs (AICPA). As trusted advisors, Certified Public Accountants advise their clients on a wide range of important accountancy issuesIFRS StandardsIFRS standards are International Financial Reporting Standards (IFRS) that consist of a set of accounting rules that determine how transactions and other accounting events are required to be reported in financial statements. They are designed to maintain credibility and transparency in the financial world that have a material impact on businesses and their stakeholders. The field of accounting is built on a vast knowledge base that is continuously expanding, changing, and becoming more complex. 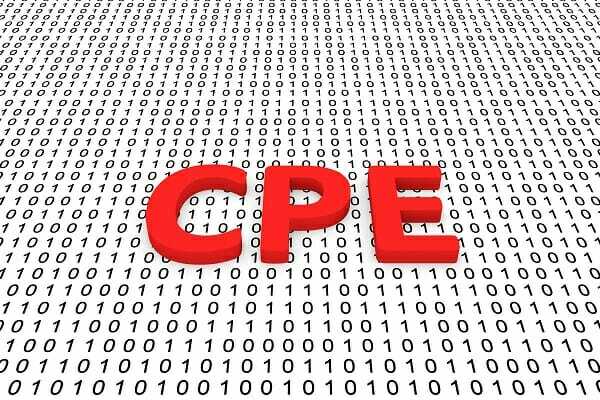 In order to ensure that CPAs provide the quality of advice and service that their clients depend on, CPE is vital. As global business advances and the impacts of technology and regulation move at faster paces, the need to stay relevant via CPE only becomes increasingly important. It’s important to understand who the various CPA bodies are and what their relationships are to professional accountants. CPA designations in the United States are not issued nationally, but rather at the state level. Therefore, Certified Public Accountants need to comply with the standards and requirements set out by the state in which they are registered. NASBA serves the interests of state-level boards, while AICPA serves the interest of individual CPAs. The National Association of State Boards of Accountancy (NASBA) is a body that serves each of the 50+ state-level boards of CPAs. Its mission is to improve the effectiveness of state accounting boards and advance the common interests of their members. The NASBA maintains the official registry of CPE sponsors which most states use as a list of approved providers of continuing professional education. The American Institute of Certified Public Accountants (AICPA), which lists more than 400,000 members, was established in 1887. It represents individual CPAs and membership is optional. For AICPA members, the reporting period runs from January 1 on the first full calendar year after joining. CPAs must complete at least 120 hours of CPE for each three-year reporting period, according to the AICPA. Check with the NASBA website for specific state requirements. If members take programs that do not indicate the number of hours, they can calculate it as the number of minutes spent completing the program divided by 50. The figure should be rounded down to the closest whole hour. Members must earn their CPE credits from Qualifying Programs that are developed by experienced professionals, contribute to members’ competence, and are formally offered. In-house training programs, university classes, conferences, trade shows, or e-learning providers are all examples of types of qualifying programs. View the list of approved CPE providers here. CPA members need to follow all established CPE requirements set out by their respective state licensing body, as well as those set by other governmental entities, membership associations, and other professional bodies. It cannot be overstressed that members should contact all the necessary entities to which they report and personally confirm the specific requirements for them. Occasionally, members may enroll in and complete educational programs from providers that are not approved by the NASBA or the AICPA. In some cases, a certain number of such hours may be eligible for CPE credits. In order to determine if non-approved programs can still provide a member with credits, individuals should retain all relevant information from the program and speak to their state-level board to apply for eligibility. It is the responsibility of CPA members to maintain accurate and proper reporting of the number of CPE credits they’ve earned. This includes document retention and evidence of participation and completion of learning objectives. The official measurement unit is CPE credits, which are equal to 50 minutes of program time. While measuring and reporting credits is important, the AICPA reminds members that the primary focus should always be education and skills development, not simply accumulating credits. Document retention is important in the event that CPA members are required to prove their continuing education to regulators or other organizations that may ask for proof. The AICPA recommends that the best practice is to keep records for at least five years after the educational development program is completed. In addition to document retention and evidence, CPAs must also practice proper reporting practices. 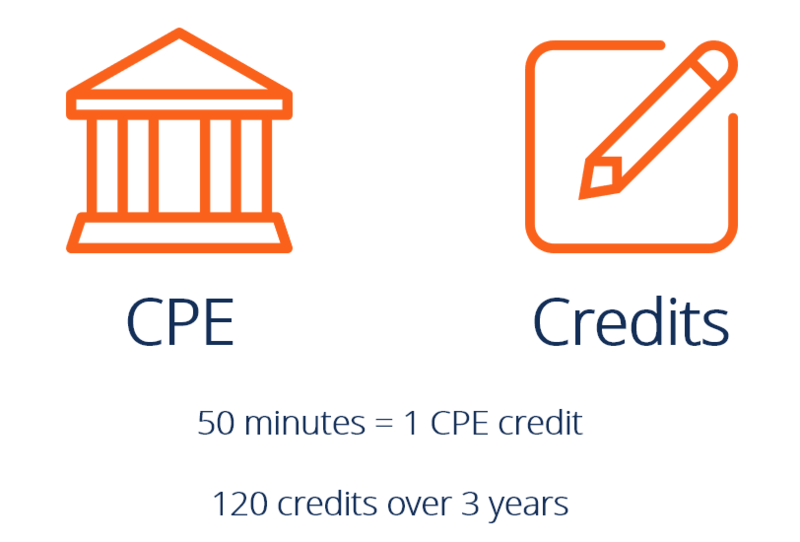 CPAs must never claim more than the CPE credits recommended by CPE program sponsor, even if the member believes the program should have provided more credits. If this situation arises, it’s recommended to discuss the issue with the NASBA directly. CPAs enjoy a wide range of freedom to participate in their preferred sponsored programs, but they should only claim credit for activities that genuinely improve their professional competency. Furthermore, if members complete only part of a program, then they can only claim credit for the portion they actually completed or attended. CFI’s CPE Program – Get 80 CPE Credits! CFI has designed a program providing 80 hours of CPE credits that focus mostly on Excel skills, financial analysis, financial modeling, valuation, and business strategy. CFI is a CPE sponsor approved by the NASBA. To learn more, view CFI’s company profile page on NASBA here. Thank you for reading the CFI guide to Continuing Professional Education credits for CPA members. This guide was developed based on information from the AICPA and NASBA websites. Please always refer back to those sites as your official source of information.